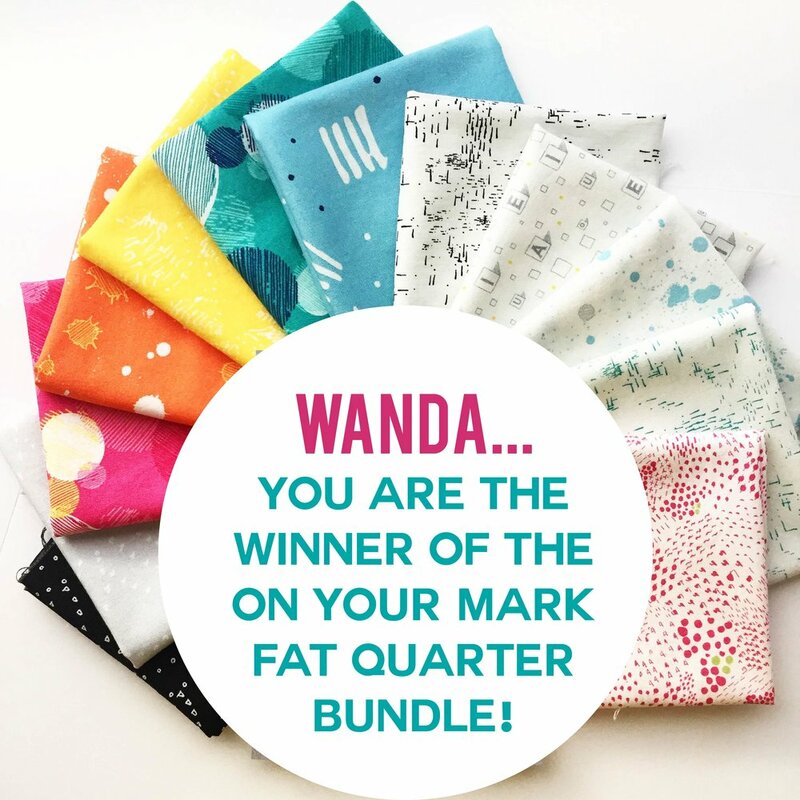 Wanda of @wandaslifesampler is receiving a fat-quarter bundle of On Your Mark fabric from Paintbrush Studios. Check your mailbox in the next couple of days. Happy sewing. Graphic designer, fabric designer, quilter, pattern designer and sewist Simone Gautier Bradford. New fabric collection called On Your Mark designed and hand drawn by Simone Gautier Bradford for Paintbrush Studios.